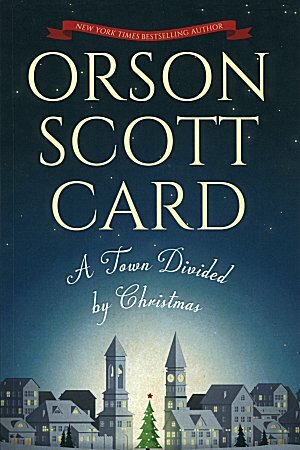 Orson Scott Card brings us back to the very beginning of his brilliant Ender's Quartet, with a novel that allows us to reenter that world anew. 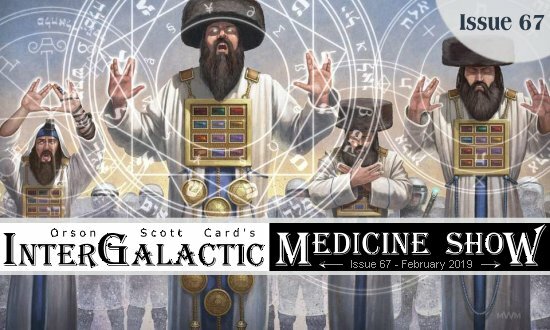 With all the power of his original creation, Card has created a parallel volume to Ender's Game, a book that expands and complements the first, enhancing its power, illuminating its events and its powerful conclusion. The long distances of interstellar space have given hope to the defenders of Earth - they have time to train these future commanders up from childhood, forging them into an irresistible force in the high-orbital facility called the Battle School. Andrew "Ender" Wiggin was not the only child in the Battle School; he was just the best of the best. In this new book, Card tells the story of another of those precocious generals, the one they called Bean - the one who became Ender's right hand, his strategist, and his friend. One who was with him, part of his team, in the final battle against the Buggers. Bean's desperate struggle to live, and his success, brought him to the attention of the Battle School's recruiters, those people scouring the planet for leaders, tacticians, and generals to save Earth from the threat of alien invasion. Bean was sent into orbit, to the Battle School. And there he met Ender. . . . This book is, strictly speaking, not a sequel, because it begins about where Ender's Game begins, and also ends, very nearly, at the same place. In fact, it is another telling of the same tale, with many of the same characters and settings, only from the perspective of another character. It's hard to know what to call it. A companion novel? A parallel novel? Perhaps a "parallax," if I can move that scientific term into literature. Ideally, this novel should work as well for readers who have never read Ender's Game as for those who have read it several times. Because it is not a sequel, there is nothing you need to know from the novel Ender's Game that is not contained here. And yet, if I have achieved my literary goal, these two books complement and fulfil each other. Whichever one you read first, the other novel should still work on its own merits. For many years, I have gratefully watched as Ender's Game has grown in popularity, especially among school-age readers. Though it was never intended as a young-adult novel, it has been embraced by many in that age group and by many teachers who find ways to use the book in their classrooms. I have never found it surprising that the existing sequels -- Speaker for the Dead, Xenocide, and Children of the Mind -- never appealed as strongly to those younger readers. The obvious reason is that Ender's Game is centered around a child, while the sequels are about adults; perhaps more importantly, Ender's Game is, at least on the surface, a heroic, adventurous novel, while the sequels are a completely different kind of fiction, slower paced, more contemplative and idea-centered, and dealing with themes of less immediate import to younger readers. Recently, however, I have come to realize that the 3,000-year gap between Ender's Game and its sequels leaves plenty of room for other sequels that are more closely tied to the original. 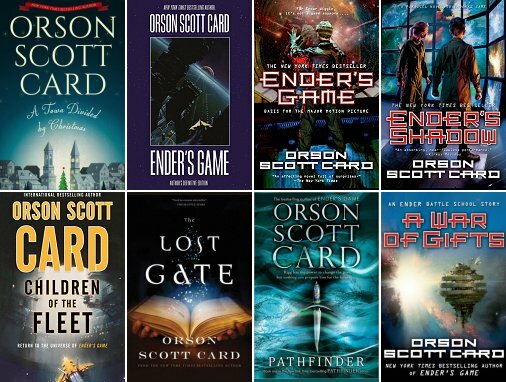 In fact, in one sense Ender's Game has no sequels, for the other three books make one continuous story in themselves, while Ender's Game stands alone. 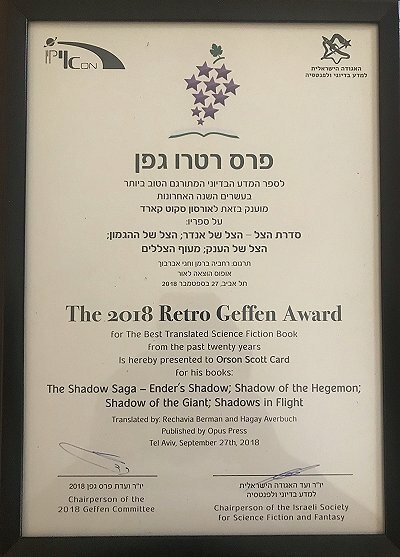 For a brief time I flirted seriously with the idea of opening up the Ender's Game universe to other writers, and went so far as to invite a writer whose work I greatly admire, Neal Shusterman, to consider working with me to create novels about Ender Wiggin's companions in Battle School. As we talked, it became clear that the most obvious character to begin with would be Bean, the child-soldier whom Ender treated as he had been treated by his adult teachers. And then something else happened. The more we talked, the more jealous I became that Neal might be the one to write such a book, and not me. It finally dawned on me that, far from being finished with writing about "kids in space," as I cynically described the project, I actually had more to say, having actually learned something in the intervening dozen years since Ender's Game first appeared in 1985. And so, while still hoping that Neal and I can work together on something, I deftly swiped the project back. I soon found that it's harder than it looks, to tell the same story twice, but differently. I was hindered by the fact that even though the viewpoint characters were different, the author was the same, with the same core beliefs about the world. I was helped by the fact that in the intervening years, I have learned a few things, and was able to bring different concerns and a deeper understanding to the project. Both books come from the same mind, but not the same; they draw on the same memories of childhood, but from a different perspective. 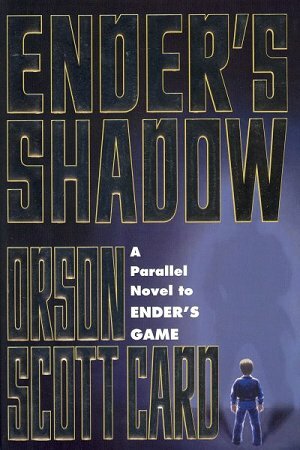 For the reader, the parallax is created by Ender and Bean, standing a little ways apart as they move through the same events. For the writer, the parallax was created by a dozen years in which my older children grew up, and younger ones were born, and the world changed around me, and I learned a few things about human nature and about art that I had not known before. Now you hold this book in your hands. Whether the literary experiment succeeds for you is entirely up to you to judge. For me it was worth dipping again into the same well, for the water was greatly changed this time, and if it has not been turned exactly into wine, at least it has a different flavor because of the different vessel that it was carried in, and I hope that you will enjoy it as much, or even more.